This collection gives the listener an interesting amount of information by very different men from various corners of life. The Narrator presents the material as a Pro and helps the listener absorb a great deal of facts which are very interesting. Great autobiography books on three greats...good read for those that want history of great men. While the narration (and sometimes even the content) could be a bit dry, the lessons in these 3 life stories are invaluable and extraordinary. 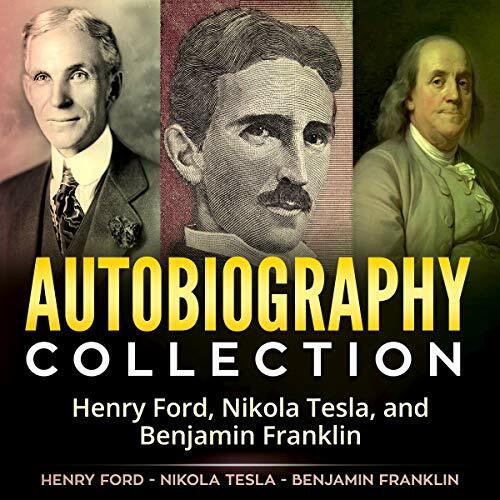 It's a short Collection of autobiography's about three of history's greatest influences from different times in history. The narrator did a good job with this especially with the different facts about the persons in the book. Long amazing in depth story of these men who changed society as we know it. I recommend it. This was a good way to get exposed to 3 great men. Surprisingly, Henry Ford's was the most insightful!